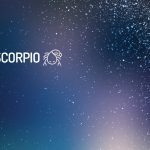 Here, you can find out more about the weekly Horoscope for Scorpio, from April 22nd to April 28th. Every week, WeMystic will bring you the forecast for Love and Relationships, Health and Money & Career. Praise is good for the ego. Singles: are you aware of your sexual power? Your magnetism is far-reaching and many different types of people are attracted to you. Praise increases your confidence, but you were not even thinking about it. Traveling on the weekend increases your chances for romance and there is something exciting about someone anonymous. An adventure is just that. Engaged: it’s cool to have fun together and then follow separate paths. You have a lot of influence over your partner, Scorpio. You are the most experienced person when it comes to many things, and their confidence in you is a great compliment. Yes, this may put some additional pressure on you, but you can handle it. If you take a trip together over the weekend, just take the essentials. The last thing you need is unnecessary items weighing in the trunk. Expect a very productive period. You are not always known for subtlety and this week is no different. Your communication and personal style may be unconventional, so slow down a bit if you’re trying to make a positive first impression. You are thinking about how to make your career a bit more freelance, a little less tied to fixed work. Show that you can be trusted. Expect to have a very productive period. That does not mean you will not have stress. Both personal and corporate dramas will unfold around you. You can expect positive feedback just by being dependable and hardworking. Share information with others. The team ‘s efforts will be more effective. You may feel anxious. Make sure everyone is on the same page. Larger economic forces beyond their control are still at stake. You may have a problem that will not go away on its own. Your focus and determination are consistent qualities that others admire in you. You will admire them too if you put them to the most personal use: take care of your body. Be stiff and demanding with what you allow in your diet. Your natural qualities can really shape a very sensitive and kind human being: you. Health issues need attention. You may have a problem that will not go away on its own. You do not seem to like going to the doctor and you hate being sick. It is a waste of time for someone who has a lot to do and so many people to see. You may be feeling more anxious than normal, so take the time to get a proper diagnosis.